Our 16oz organic Wild MCT Oil is made from 100% sustainable, organic coconuts. Unlike coconut oil though, it won't solidify at room temperature or impart a coconut flavor or texture. Our bottles are BPA free. 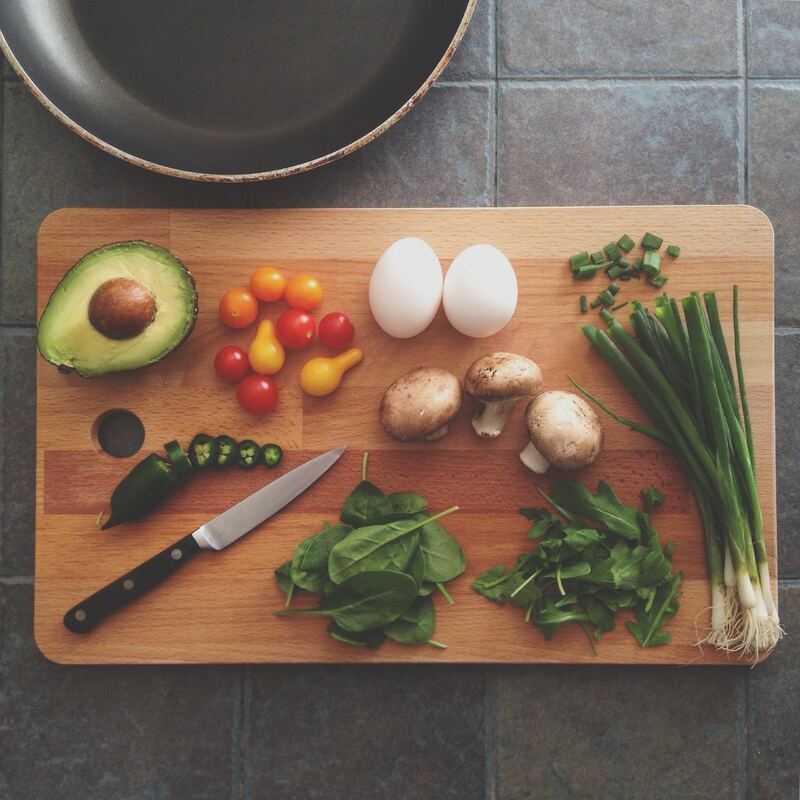 How to use: Cooking, take a swig, add to smoothies or shakes, add to butter coffee, use as a massage oil, use on your skin and your hair, use for oil pulling, and much more. These MCT fats are unique in that they are quickly metabolized by the liver and used as fuel, which makes them difficult to store as body fat. Unlike typical, longer-chain fatty acids, MCTs are used so fast by your body as fuel that they rarely ever get stored in the form of fat cells on your body. The MCT oil is made from the white flesh of coconuts through a process called "fractionation" in which the shorter chain fatty acids are separated from the longer chain (less ideal) fatty acids. What you have left is a pure flavorless and odorless liquid oil that does wonders for human health. Best natural products I’ve found! Have ordered multiple times now! I love this MCT it does to stink and blends well. I wish it was cheaper, so I can buy more of the other products. LOL I really love the WILD line! I try some many products even the matcha blends in cold water for a easy shot of green tea. Thank you Colin for your products keep up the good work. I've been adding this to my coffee in the morning. Love the consistency it adds and the benefits to my morning cup of JOE! I don't eat breakfast and I eat a late lunch. I was looking for something that could take me to 2p without having solid food or being starving hungry. I put this in my coffee and it does the trick! Products arrive quickly and customer service is friendly, quick to respond, and helpful. Love Wild! Flavorless and odorless, organic Wild MCT Oil is the perfect way to add some clean and pure fats to your morning coffee. Try this recipe: 8oz fresh brewed Wild Coffee, 1-2 TBSP pastured butter, 1 TBSP Wild MCT Oil. Blend until frothy. Enjoy! 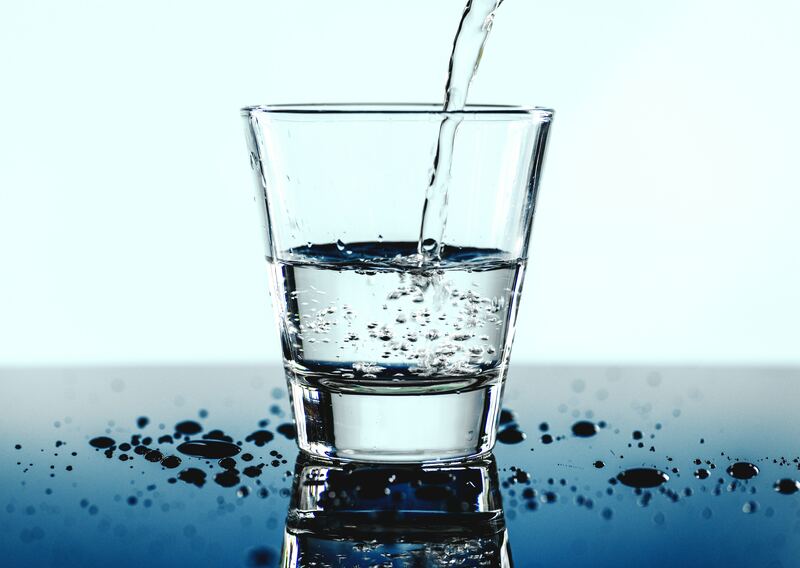 You can take a small shot of MCT anytime you need some clean, nutritious energy. MCT oil is great for cooking on temperatures lower than 350°. You can also use it as a base to make delicious salad dressings and mayo. Your Wild MCT Oil purchase helps support small, organic farmers make a living while respecting the environment and producing quality coconuts. 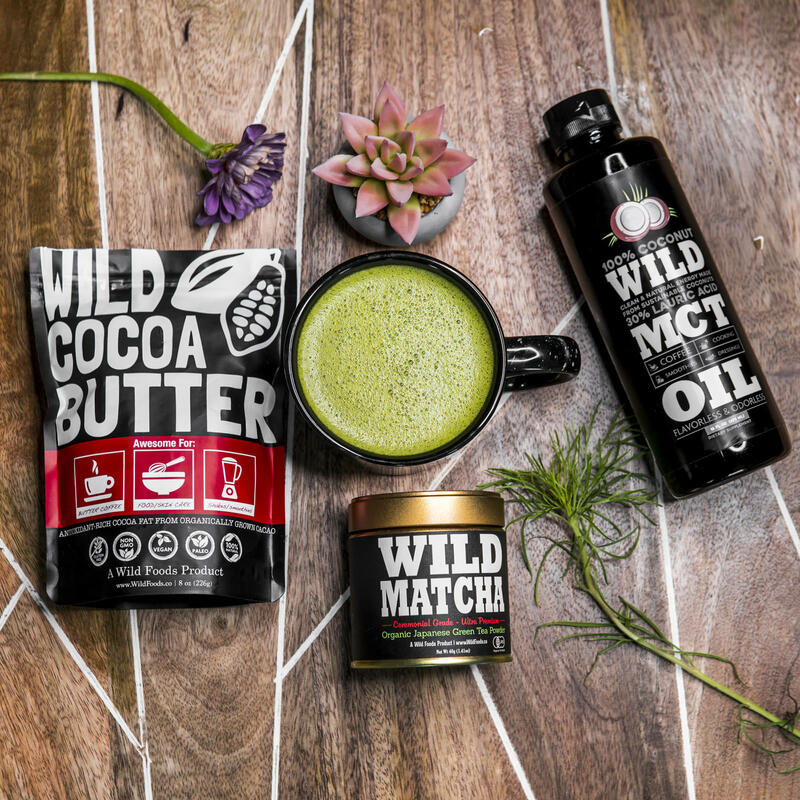 Wild MCT Oil is part of the #drinkyourfat method. Watch now for the recipe and information on it's use. 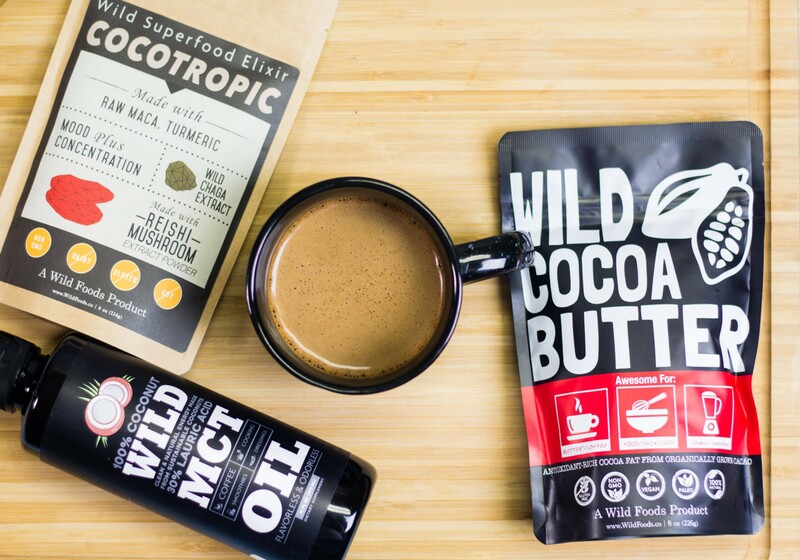 Watch below for Colin Stuckert, our Wild CEO's recipe and his daily routine of Intermittent Fasting With Coffee, using Wild MCT Oil. What is the breakdown of MCT oils in your organic Wild MCT Oil product? Where is Wild MCT sourced from? Our Wild MCT oils are made in the US from coconut and palm kernels sourced from sustainable sources in southeast Asia. Due to availability, our manufacturer buys from various sources depending on availability in the area, but each farm/producer must show organic, sustainable farming practices before we will buy from them. As you know, the palm deforestation is a major problem over there. We would never support anyone contributing to this problem. Is ​your MCT Oil ​hexane ​free? It sure is! No solvents or harsh chemicals are used. 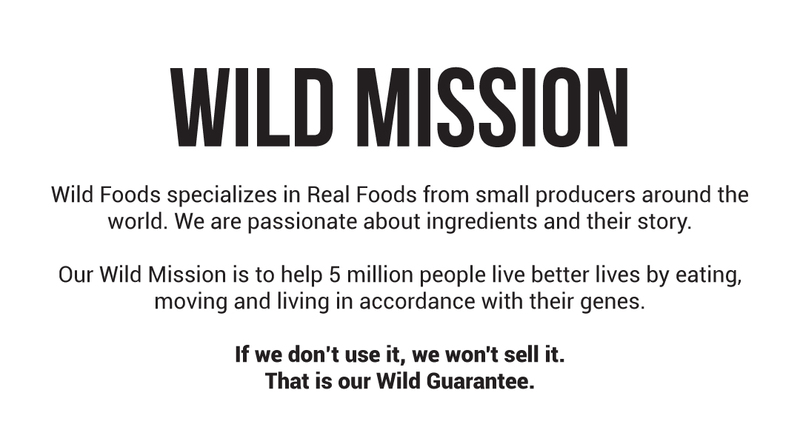 Can you cook with Wild MCT? Heck yes you can! Wild MCT is a staple in the Wild kitchen. It is safe for low to moderate heat cooking and baking. It's also the perfect base for salad dressing. Absolutely nothing. Just a plain, flavorless, odorless oil. In fact, that's one of its very selling points. 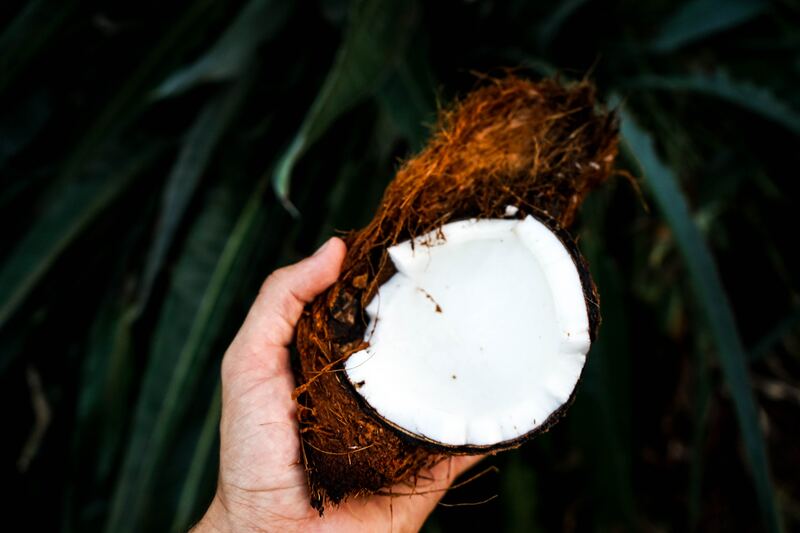 Because coconut oil tends to impart a coconut flavor onto anything it touches, Wild MCT helps you get the medium-chain triglycerides, and all their benefit, into your diet and recipes without the coconut flavor (and a higher smoke point). What is the difference between your glass bottle MCT and your plastic bottle MCT? Our 16oz Wild MCT Oil comes in convenient BPA-free plastic bottles, whereas our 32oz Wild MCT Oil is in amber glass bottles. Both Wild MCT Oils are really great for all MCT uses! Why is this MCT oil way more expensive than the other MCT oil brands at $20 for 16oz vs around $20 for 32oz for the other brands? We cannot speak on what other brands do since we have no clue about their process. What I have learned, though, is that you get what you pay for when it comes to food and ingredients. Bulk MCT that is cheap is almost always cheap for a reason: non-sustainable practices, cheap over-farmed ingredients, chemical treatment, lack of quality control and testing, and so on. Our MCT is sourced direct from small farmers that grow sustainably and organically. We also use the highest quality fractioning process without the use of chemicals like hexane. What kind of shelf life can I expect with your Wild MCT Oil? Shelf-life on unopened bottles is 2 years. Opened bottles, if kept in a cool, dry, dark place, still last several months if stored properly. Does your Wild MCT Oil have a COA?